Mr. Jakobsons is Adjunct Professor of Economics at Riga Business School. He has vast practical experience in projects with international organizations such the World Bank, the IMF, and the United Nations. Dr. Koliškins is Professor of Statistics and specializes in quantitative analysis. He has extensive international teaching experience including in Asian countries such as Singapore and Hong Kong. Raivis Lucijanovs is the Chief Financial Officer at LatRosTrans, SIA. Previously he has held financial management positions at Finstrum SIA, Tipro Baltic SIA, and AS Pasažieru vilciens. He has been teaching accounting and finance courses at Riga Business School since 2008. Harijs Švarcs has extensive experience in finance and banking. For many years he has been the CEO of Swedbank Investment Swedbank Investment Management Latvia – the country’s biggest pension fund manager. Before that he had worked at the central bank of Latvia as a portfolio manager of national foreign exchange reserves and as a financial analyst and an economist. Mr. Praņēvičs is Associate Director at Baltcap. Previously he worked as a Senior Analyst in Citadele Asset Management. 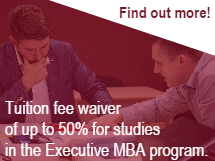 Mr. Praņēvičs holds an MBA from Riga Business School and is a CFA charterholder. Mr. Prikšāns is the CEO of the Latvian branch of "Pohjola Bank". Previously he worked as a board member of AS "Swedbank". Mr.Prikšāns is a CFA charterholder. Raimonds Lieksnis, PhD, Level II CFA Cand. Raimonds Lieksnis currently holds the position of as Finance Director in SIA TVG where he develops company financial strategy as well as works with external financers to obtain financing for company’s development. He is also Finance Director of SIA Tilde. Raimonds Lieksnis also serves on the RBS Council.